At the bottom of the stud connected a white teardrop formed hanging fogbound at intervals a gold plated brass metal frame that conjointly forms the bottom of earrings. 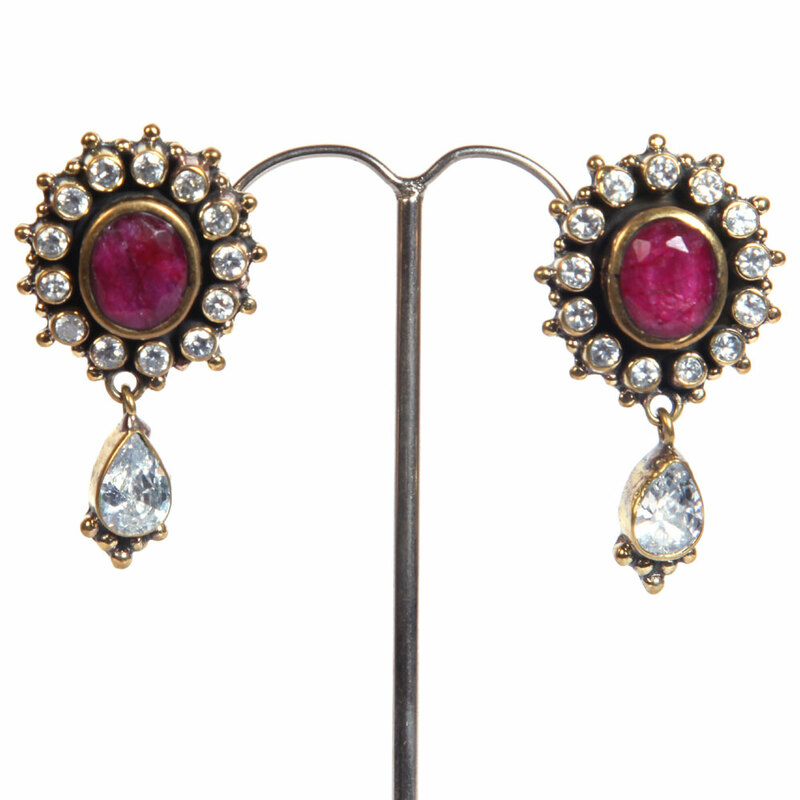 This pair of fashion earrings features a stud adorned with white stones in a circular formation around a red ruby central piece. At the base Read More..of the stud attached a white teardrop shaped hanging enclosed within a gold plated brass metal frame that also forms the base of earrings. Show Less..